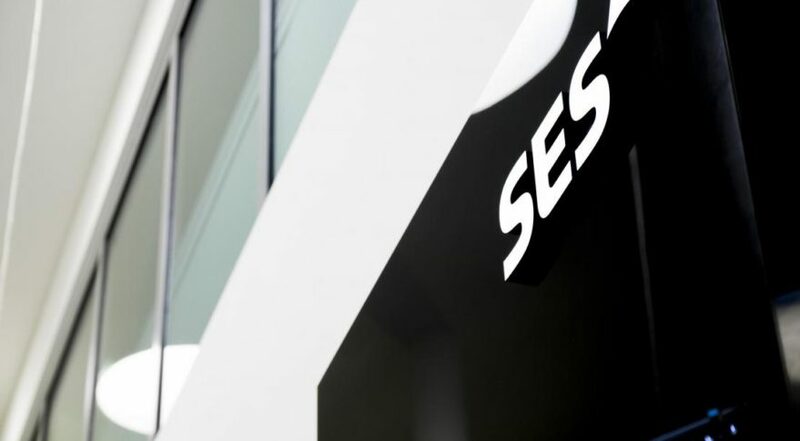 WASHINGTON — Satellite fleet operator SES has agreed to join Intelsat on an amended proposal to let 5G networks use some of the satellite industry’s coveted C-band spectrum for next-generation cellular systems in the United States. The modified proposal, building on a submission Intelsat and computer chip-maker Intel made to the U.S. Federal Communications Commission in October, would allow mobile networks to use one-fifth of satellite-designated C-band. SES had stipulated in November that, while considering Intelsat and Intel’s plan, the operator could not support opening the full 500-MHz of U.S. satellite C-band. With SES on board, Intelsat now has the support of its most needed partner to advance the proposal. Intelsat and SES together control more than 90 percent of the C-band spectrum licensed in the U.S. In a joint statement released Feb. 9, Intelsat and SES said they began discussions with the FCC on the proposal this week. The operators are including in the proposal the creation of a consortium for other satellite operators that beam down content or data over the lower 48 states to guide the proposal’s implementation, if accepted by the FCC. Under pressure by mobile operators that have for years sought to wrest C-band spectrum away from satellite operators, Intelsat surprised its peer-competitors last fall when the company teamed with Intel on an idea that would enable both industries to use the same spectrum — just not simultaneously. Intelsat said it was not betraying the heavily defended industry stance that mobile and satellite signals cannot use the same spectrum at the same time without generating intolerable interference levels, particularly for satellite users. Rather, the proposal calls for satellite operators to voluntarily migrate C-band customers to a different section of the band, or physically relocate their dishes in specific geographic areas where 5G networks have heightened spectrum needs. Intelsat furthermore emphasized that the proposal was specific for the U.S. market, where regulators have taken an increased interest in freeing up more spectrum for 5G. Sabbagh added that the new consortium would enable that protection while forging a path for new 5G terrestrial services to form. SES spokesperson Markus Payer told SpaceNews the consortium will arrange “secondary agreements” where mobile operators compensate satellite operators for the enormous costs of moving antennas, adding filtering technology, and possibly even launching new satellites in order to clear the needed spectrum. Telecom network operator SpeedCast, a larger buyer of satellite capacity but not an operator of any spacecraft, wrote to the FCC in November saying service providers like itself needed to be included in the spectrum conversation. Intelsat vice president of investor relations Dianne VanBeber told SpaceNews that the consortium only has satellite operators as members because C-band end users don’t hold rights to the spectrum. “Under the joint proposal, 100 percent of any network redesign costs will be compensated by those mobile operators using the spectrum. It is satellite operators who incur lost opportunity cost by virtue of limitation on services across the spectrum in which we have invested billions of dollars,” she said. VanBeber said Intelsat has 26 satellites with full or partial licensed C-band coverage of the United States, or roughly half the operator’s fleet. In SES’s geostationary fleet of 43 satellites, 18 have C-band capacity over the United States, according to Payer. Fleet operators Eutelsat of Paris and Telesat of Canada — both of whom chimed in on the FCC’s C-band spectrum discussion — have five and three satellites with C-band U.S. coverage, respectively.